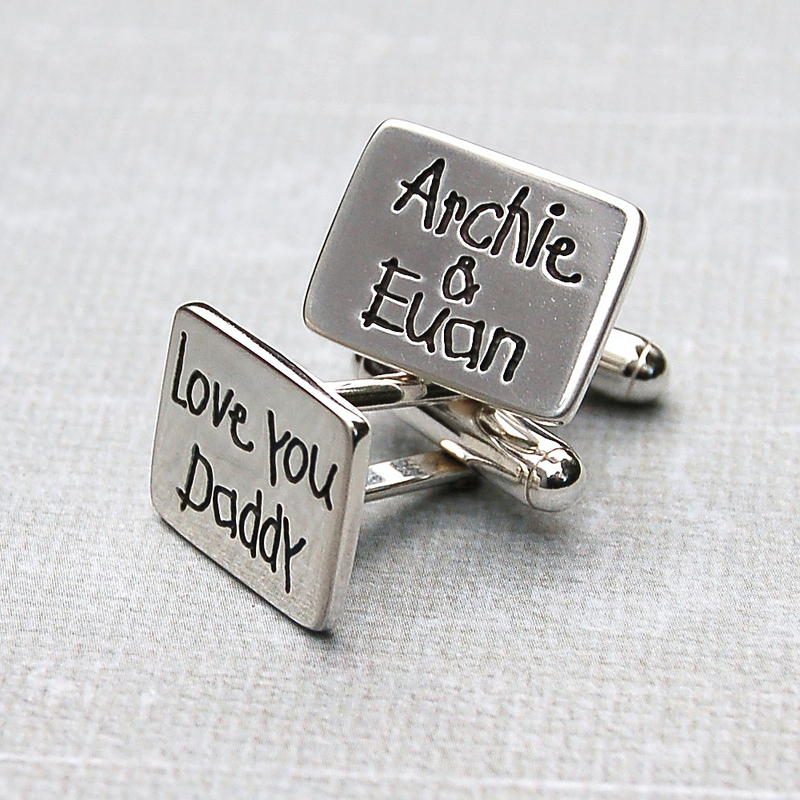 Handmade solid silver cufflinks personalised with a short message and/or the names of your children or grandchildren in a child’s handwriting font. 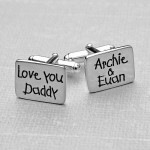 Treasure your little ones and keep them close with these high quality handmade sterling silver personalised cufflinks. 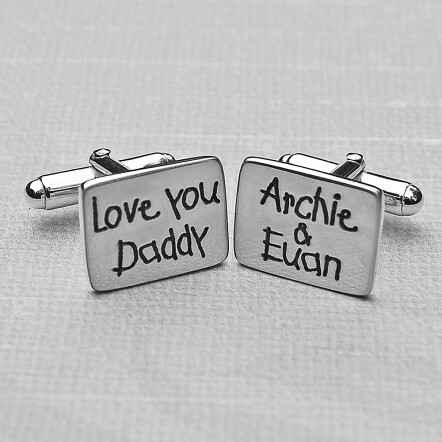 These cufflinks would make a memorable and unique gift for a special Daddy or Grandad to celebrate a special occasion such as a Birthday, Father’s Day or the birth of a new baby. 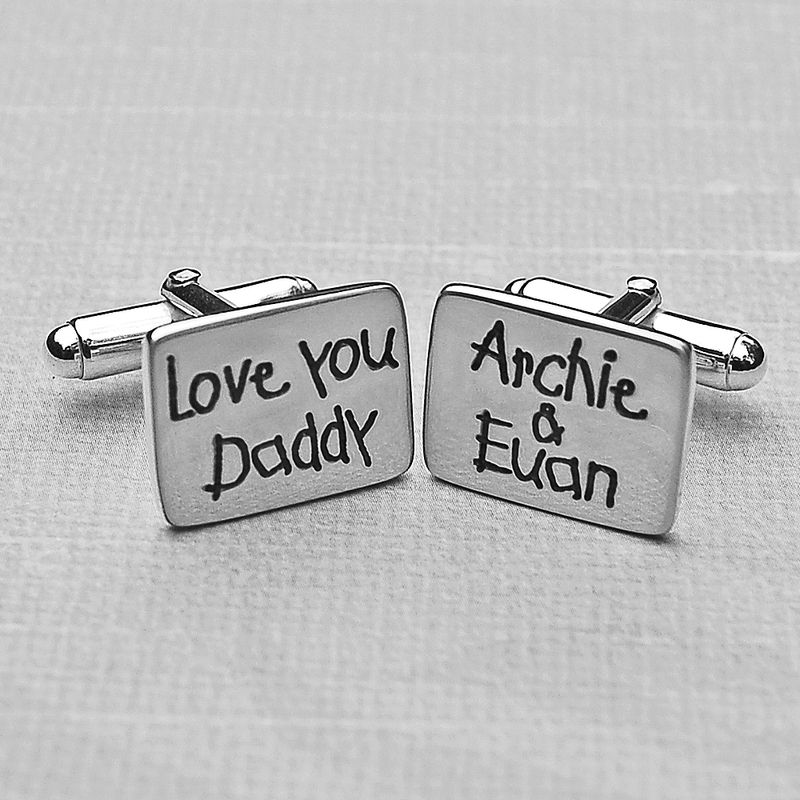 Each cufflink can be etched with two lines of text of up to 8 characters per line, so perfect for a short message, names, initials, words or dates and you can have both cufflinks different or the same. 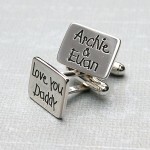 If you would only like one line etching we will centre the text vertically. 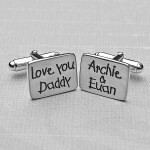 Also please let us know if you would like an & symbol in between two names as shown on one of the images. 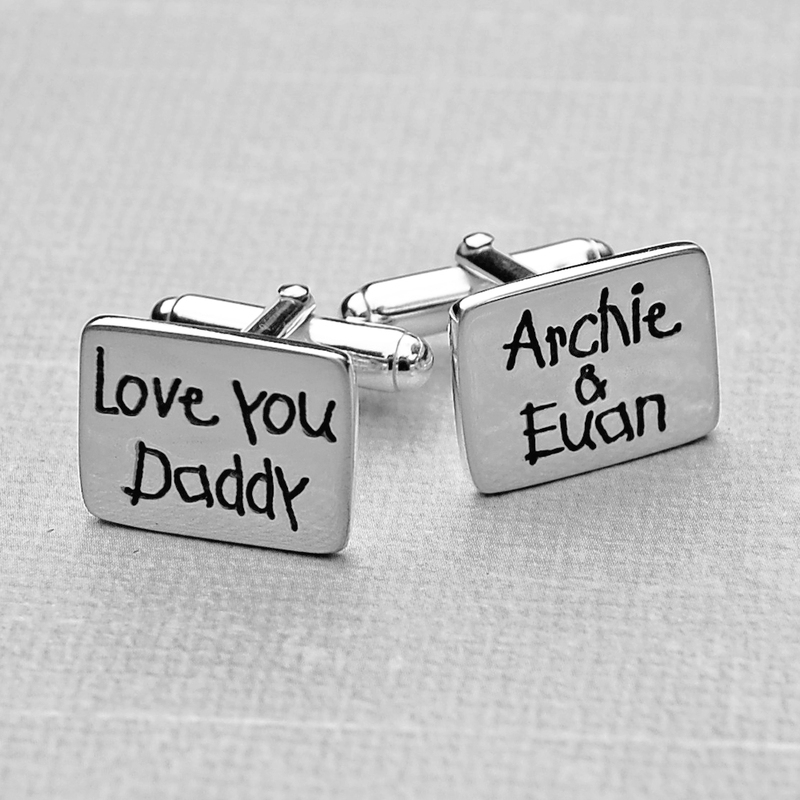 Our solid sterling silver cufflinks measure approximately 17mm long x 13mm high and are a lovely 1.5mm thick and have classic sterling silver cufflink fittings with round bars soldered onto the back.